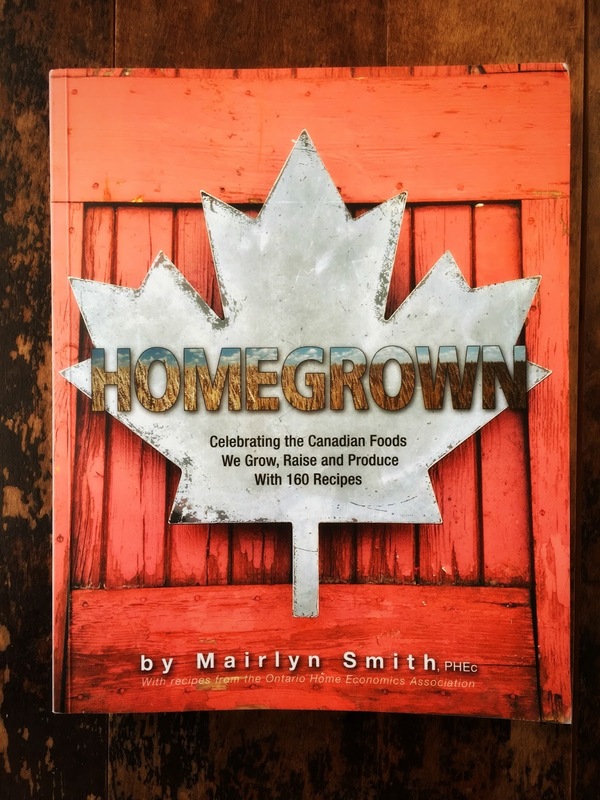 Even though time is a precious commodity around here, I still knew that I had to say YES when asked to participate in a blog hop celebrating Mairlyn Smith's new cookbook, Homegrown. She co-authored the book with members from the Ontario Home Economics Association, and oh my, it is quite the informative, detailed cookbook. I personally think it should be required reading for kids in high school. 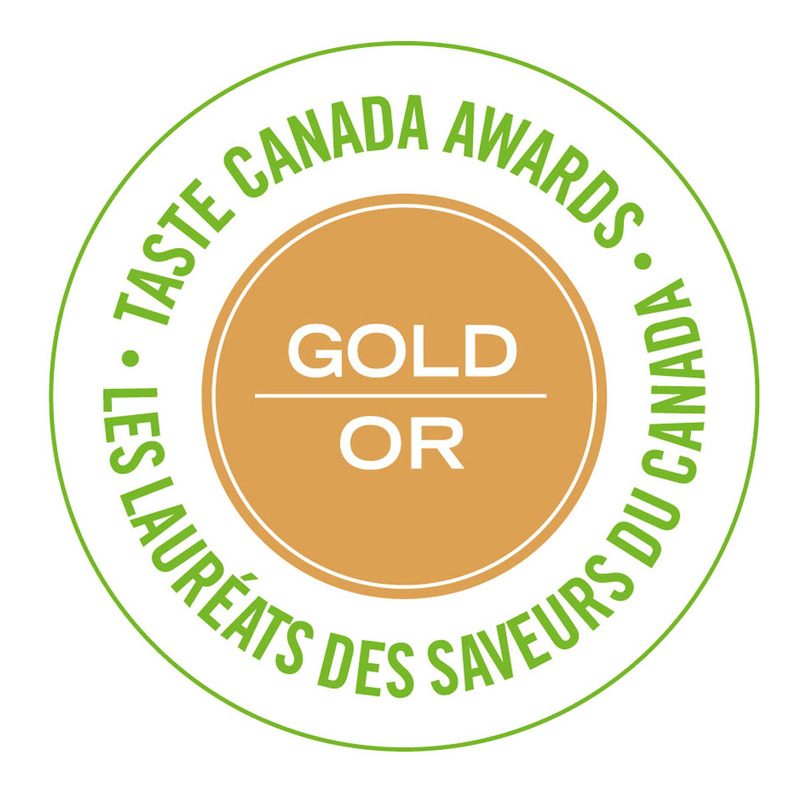 Celebrating the foods grown, raised and produced in Canada, it includes 160 recipes and so much information about, well pretty much everything. 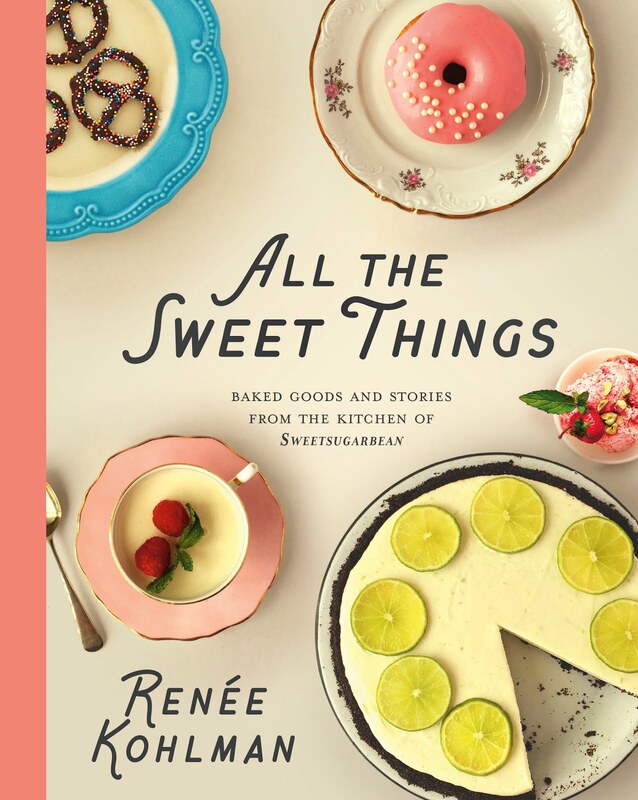 The chapters are divided into: Breads, Eggs, Cheese, Grains, Soups, Vegetables, Salads, Legumes, Pork and Lamb, Fish and Seafood, Poultry, Beef, and Fruity Treats, with helpful tips and lovely photographs scattered throughout. Each recipe makes a note on its seasonality, and has all the nutritional information laid out for you. Homegrown is a wonderful resource for those just learning to cook, and for those who've been doing it for ages. Mairlyn and her team should be very proud of themselves! Given that my diet has included way too much butter and sugar over the past several months, I knew I wanted to cook something green and super healthy from Homegrown. 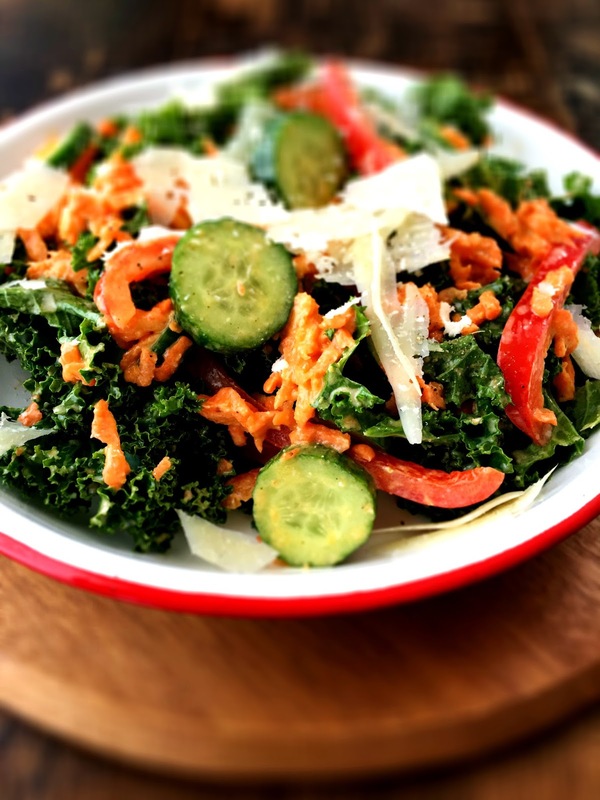 Enter the Kale Tossed Salad with Roasted Garlic Dressing. Oh man, can roasted garlic ever work wonders, on pretty much everything it touches. It's the real shining star in the dressing, and the plain yogurt adds enough creaminess so you aren't missing the usual mayo or egg yolks. Shredded Parmesan adds a lovely salty/nutty note and a little dry mustard powder brings brightness. 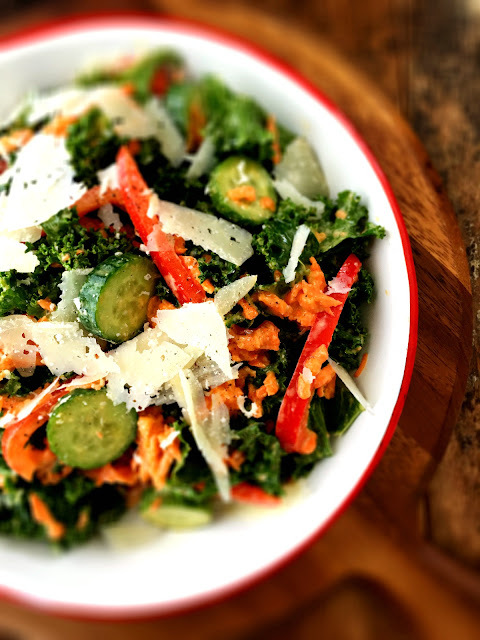 The whole things is tossed with hearty kale, shredded carrots, red peppers and cucumber. Super nutrition, right there. I felt like I could glow in the dark after eating this salad. For a bump of protein, you could add cooked pulses, shredded chicken, pork, fish, beef. Heck, even a chopped hard boiled egg. And there is dinner. Be sure to check out what the other bloggers are sharing from Homegrown. Mairlyn, we love you! I used 6% plain yogurt as that's what I have in the house, and the dressing turned out great. A squeeze of fresh lemon juice is a nice addition at the very end, as is a generous shaving of Parmesan cheese. 2. Cut approx. 1/4 inch (6 mm) off the top of garlic bulb and remove the very outer papery leaves. Drizzle with 1/4 tsp canola oil and sprinkle with a pinch of salt and pepper. 4. When cool to the touch, hold the garlic bulb and squeeze out softened flesh into a mini food processor. Add yogurt, mustard, 1/4 cup (60 mL) oil, Parmesan cheese and parsley and puree until dressing is blended and smooth. Season with pepper to taste and set aside. Garlic—Choose local garlic when possible. Buy local at your farmers’ market in the fall and store it in a cool dark place over the winter months. Once roasted, garlic keeps for up to 3 days in the refrigerator. Thanks Mardi! It's such a good salad! This salad should keep you going in that final push for the finish line. Congrats on the upcoming book! Your "glow in the dark" comment makes me smile. I'm in 10K training mode right now so this salad is going on my must-eat list. Keep powering through on your book! Almost there now, and it's going to feel great. Thanks Jan! I love my cheerleaders! !